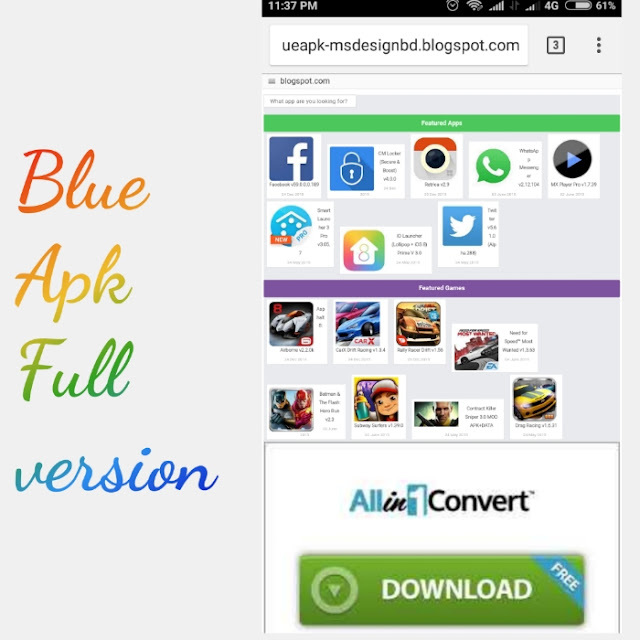 Blue Apk is another version gourab design. Your blog on Android Application Download Site. Blue APK Pro Responsive Our previous themes were for Android Apps and Game Download Sites. But some of our awesome and awesome features are available from blue to yours, a responsive your blog is attractively attracted to the blue and blue, and the SEO theme is the blogger theme, which makes this more likely to make your blog optimized to get our age widgets, featured widgets and featured apps. One of the top labels used for widgets As the post person, you can show 8 apps and 8 games. Featured apps and games widgets may increase your apk download count. Note: PREMIUM VERSION.Just for free.So download now.Any Question so comments here. Please don't remove our credit... And if you need theme this ?. So please contact us my fb page. No download button or playstore button in post please how can i put that button?